This week in 2016, President Barack Obama became the first US President to visit Cuba since 1928. In that same year, Joseph Gangi was first selected for inclusion on the Minnesota Rising Stars list published by Super Lawyers®, a Thomas Reuters business. Gangi also received this honor in 2017. On March 21, 2016 President Obama landed in Cuba for a meeting with Cuban President Raúl Castro, becoming the first U.S. president to visit Cuba since 1928. The historic three-day visit included a tour of Old Havana, taking in a baseball game with Raúl Castro, and delivering a televised speech to the Cuban people. President Obama tours Old Havana with his family. President Obama told embassy staff “it’s a historic opportunity to engage directly with the Cuban people.” He arrived in the communist dictatorship just over a year after he announced the reestablishment of diplomatic ties between the US and Cuba. Joe was born and raised in St. Paul, Minnesota. After attending the University of Minnesota-Twin Cities for two years as a music student, Joe followed the family footsteps by enlisting in the U.S. Army where he served as a signals intelligence analyst for five years. He then attended the University of Wisconsin Law School in Madison, Wisconsin. Following law school, Joe moved his family to Atlanta, Georgia, to accept a position as a staff attorney on the 11th Circuit Court of Appeals. In this position, Joe assisted the court in analyzing hundreds of appeals, ranging from employment discrimination law to criminal law. After two years on the court, Joe and his family moved back to St. Paul, Minnesota, to clerk for then-Chief Judge Matthew Johnson on the Minnesota Court of Appeals, where Joe continued to develop his appellate skills. Joe’s affiliation to Farrish Johnson began when he accepted a clerkship position with Judge Terri Stoneburner on the Minnesota Court of Appeals. Judge Stoneburner began working at Farrish Johnson in 1979 until she was appointed District Court Judge in 1990. While at Farrish Johnson & Maschka, Stoneburner practiced civil litigation and also taught in MSU’s political science and women’s studies departments. Knowing Joe hoped to practice law in greater Minnesota, Judge Stoneburner put him in contact with her former colleagues, and the rest is history. Joe’s practice focuses on general litigation, employee-side employment law, and appeals. He has argued cases before the Minnesota Supreme Court and has been selected for inclusion on the Minnesota Rising Stars list since 2016. Super Lawyers is a rating service of outstanding lawyers from more than 70 practice areas who have attained a high degree of peer recognition and personal achievement. The selection process includes independent research, peer nominations and peer evaluations. The Rising Stars list recognizes no more than 2.5% of attorneys in each state. To be eligible for inclusion in rising Stars, a candidate must be either 40 years old or younger, or in practice for 10 years or less. Also in 2016, an overnight fire in Madelia damaged or destroyed nine businesses and seven buildings on Main Street. An explosion on February 3 that started the fire was so powerful it drove shards of glass through a bank window across the street. More than 100 firefighters spent at least 8 hours battling smoke and flames in downtown Madelia, with fire crews from over seven neighboring cities braving blizzard conditions to assist. Madelia rebounded with a resiliency and speed. 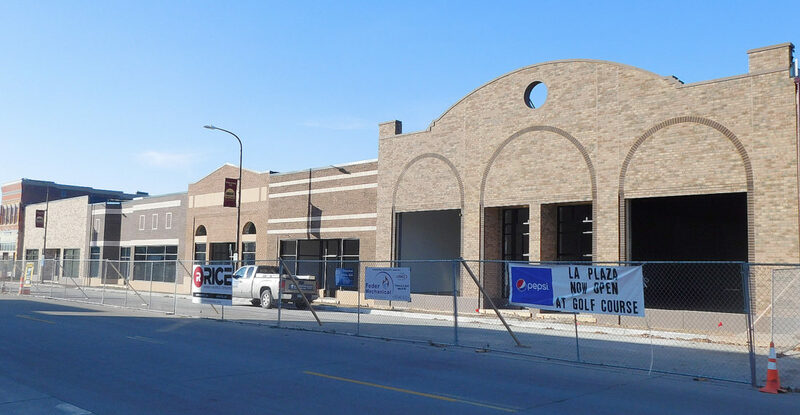 With donations coming in and state aid approved, new buildings were erected and businesses returned. Madelia Strong, a non-profit organization was formed to administer assistance and financial relief to those affected by the fire. Farrish Johnson’s Madelia office on Main Street did not sustain any damage in the fire. Joe, his wife and their two children live in North Mankato. Joe has been involved with a variety of community organizations, including past-president of Habitat for Humanity and a current board member of the Mankato Curling Club, where he uses his U.S. Curling Association curling instructor certification to teach beginners how to curl. Joe continues to stay active as a musician, playing piano, trombone, viola, and violin, and even composing music every now and then. February 13, 2016: Supreme Court Justice Antonin Scalia dies at the age of 79. April 18, 2016: Lin-Manuel Miranda’s Hamilton wins the Pulitzer Prize for Drama. April 21, 2016: Music legend Prince dies at the age of 57. 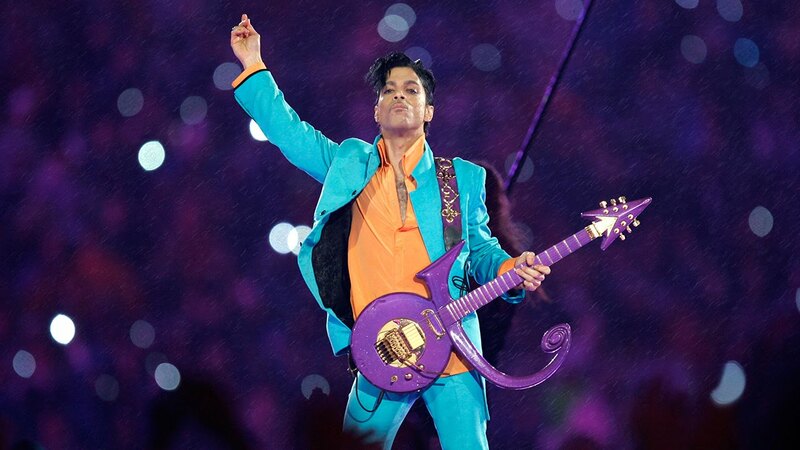 To celebrate his legacy, cities across the U.S. hold vigils and light buildings, bridges, and other venues in purple. June 12, 2016: A shooter opens fire at Pulse, a gay dance club in Orlando, killing 49 people and leaving another 53 wounded. The attack surpassed the 2007 Virginia Tech shootings as the deadliest mass shooting in U.S. history until the 2017 Las Vegas shooting. The shooting is investigated as a domestic terrorist attack. July 6, 2016: A police officer shoots and kills 32-year-old Philando Castile during a routine traffic stop in Falcon Heights, Minnesota, sparking further public outcry and protests regarding police brutality. July 25–28, 2016: The Democratic National Convention is held in Philadelphia, Pennsylvania with Hillary Clinton accepting the nomination. She becomes the first woman to accept the nomination of a major party for president. August 5–21, 2016: The United States compete at the Summer Olympics in Rio de Janeiro, Brazil and win 46 gold, 37 silver, and 38 bronze medals. August 24, 2016: Flood wall mural in Mankato is dedicated. The 300-foot paint-on-concrete mural near the Depot on Riverfront Drive depicts a day in the life of the Minnesota river from sunrise to sunset. Funding was provided by the Mankato Area Foundation, the city of Mankato Community Grant and donations from businesses and individuals. Mural artists Julie Johnson-Fahrforth, Michael Cimino, Ann Judkins, Andrew Jundkins, and Craig Nagel collaborated to create the Mni Mural. Mni means “water” in the Dakota language. August 31, 2016: The U.S. conducts its first commercial flight to Cuba in 50 years. November 8, 2016: Donald Trump is elected as the 45th President of the United States. December 8, 2016: John Glenn, former astronaut, Colonel, and Senator, and the first American to orbit the Earth, dies in Columbus, Ohio, at the age of 95. 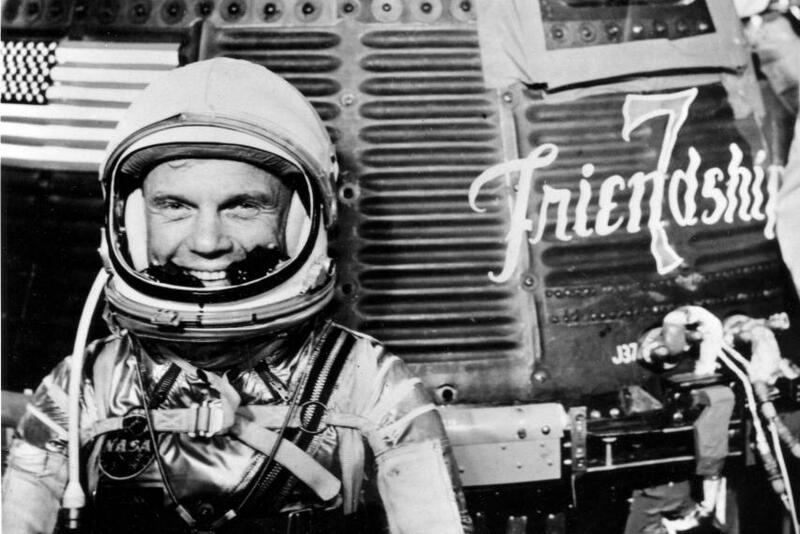 Astronaut John Glenn poses for a photo with the Mercury Friendship 7 in 1962. December 27, 2016: Carrie Fisher, known for playing the iconic character Princess Leia in the Star Wars film series and noted script doctor and mental health advocate, dies at the age of 60 after suffering from cardiac arrest on a transatlantic flight four days earlier. Her mother, actress Debbie Reynolds dies the next day, after suffering a stroke while preparing for Fisher’s funeral.